LIMA, Peru-- Thirty-three lions rescued from circuses in Peru and Colombia are heading back to their homeland to live out the rest of their lives in a private sanctuary in South Africa. The largest-ever airlift of lions will take place Friday and was organized and paid for by Animal Defenders International. The Los Angeles-based group has for years worked with lawmakers in the two South American countries to ban the use of wild animals in circuses, where they often are held in appalling conditions. The lions suffered in captivity. Some were declawed. One lost an eye and many were recovered with broken or rotting teeth. In a statement, the group said the first group of nine lions will be collected in the capital Bogota on a McDonnell Douglas cargo plane which will pick up 24 more in Lima before heading to Johannesburg. From there, they'll be transported by land to their new home at the Emoya Big Cat Sanctuary in Limpopo province, where they will enjoy large natural enclosures. "It will be hugely satisfying to see these lions walking into the African Bush," Tom Phillips, ADI's vice president, said Tuesday as he inspected the cages that will be used to transport the lions. 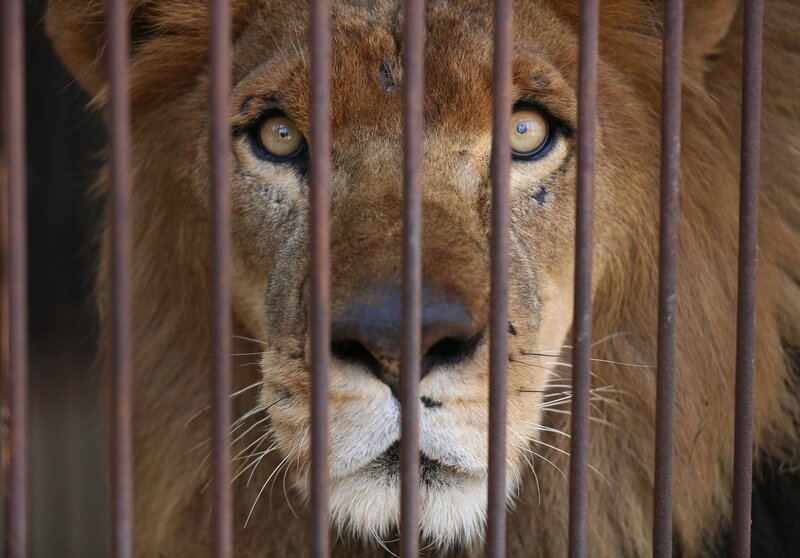 "It might be one of the finest rescues I've ever seen; it's never happened before taking lions from circuses in South America all the way to Africa," he added. "It's like a fairy tale."